A press release went out today about our upcoming NOT Back to School Day – a day in which we celebrate the freedom to Unschool in the state of Texas. While millions of Texas children return to school on August 22, almost half a million are Not going Back to School and we look forward to making this a day of celebration for Unschooling families across the state! If you plan something for Not Back To School Day, please feel free to share photos and comments about how you spent your day at our Facebook Group. It would be fun to see what everyone’s up to on Not Back To School Day! July 19, 2016–Fort Worth, Texas — While many parents are preparing for the state mandated first day of school, homeschooling and unschooling parents are enjoying plenty of quality time with their kids. With almost half a million children being homeschooled in Texas alone, there is a growing trend to forego the traditional preparation for the first day of school in favor of celebrating our freedom to homeschool by gathering together to encourage each other in our home school journey. Texas Home Educators, Texas Unschoolers and Family Catholic Educators are celebrating the freedom of homeschooling, by encouraging local homeschooling and unschooling groups across the state of Texas to plan fun local activities on August 22, 2016, the official “Back To School Day” for Texas public school students as an official “NOT Back to School Day”. Our hope is that each year homeschoolers across the state will celebrate “NOT Back To School Day” by hosting fun activities for homeschoolers in their areas as a celebration of home education in Texas. This post comes from an original article by Jerry Mintz at the Alternative Education Resource Organization (AERO) website: The Ten Signs You Need to Find a Different Kind of Education for Your Child. Published here with permission from AERO. Click over to the article for more of Jerry’s thoughts on alternative education models, and find out if the AERO Conference might be something for you and your family. 1. Does your child say he or she hates school? If so, something is probably wrong with the school. Children are natural learners, and when they’re young, you can hardly stop them from learning. If your child says they hate school, listen to them. 2. Does your child find it difficult to look an adult in the eye, or to interact with older or younger children? If so, your child may have become “socialized” to interact only with peers within their own age group—a very common practice in most schools—and may be losing the ability to communicate with a broader group of children and adults. 3. Does your child seem fixated on designer labels and trendy clothes for school? This is a symptom of an approach that emphasizes external rather than internal values, causing children to rely on shallower means of comparison and acceptance, rather than deeper values. 4. Does your child come from school tired and cranky? While a student can have a hard day in any school, consistent exhaustion and irritability are sure signs that their educational experiences are not energizing, but actually debilitating. 5. Does your child come home complaining about conflicts that they’ve had in school, or unfair situations that they have been exposed to? This may mean that the school does not have a student-centered approach to conflict resolution and communication. Many schools rely on swift, adult-issued problem solving, depriving children of their ability to emotionally process and thoughtfully discuss the situation at hand. 6. Has your child lost interest in creative expression through art, music, and dance? Within the traditional system, these creative outlets are often considered secondary to “academic” areas, and are not as widely encouraged. In some cases, courses in these areas are not even offered any more. This neglect often devalues, or extinguishes, these natural talents and abilities in children. 7. Has your child stopped reading or writing—or pursuing a special interest—just for fun? Are they investing the bare minimum in homework? This is often a sign that spontaneous activities and student independence are not being valued in their school. Children have a natural inclination to direct their own learning; however, an emphasis on meeting standardized test requirements limits the abilities of teachers to nurture and encourage this inclination. The result can be an increasing apathy toward subjects that were once exciting, and a loss of creativity. 8. Does your child procrastinate until the last minute to do homework? This is a sign that the homework is not really meeting his or her needs—perhaps it’s “busy work” or rote memorization—and may be stifling to their natural curiosity. 9. Does your child come home talking about anything exciting that happened in school that day? If not, maybe nothing in school is exciting for your child. Why shouldn’t school—and education—be a fun, vibrant, and engaging place? 10. Did the school nurse or guidance counselor suggest that your child may have a “disease,” like ADHD, and should be given Ritalin or another behavior regulating drug? Be wary of these diagnoses and keep in mind that much of the traditional school curriculum these days is behavior control. If test requirements limit a teacher’s ability to engage students, if students are discouraged from following their own passions and expected to sit for five or six hours a day with limited personal attention and interaction, I suggest it’s the school that has the disease, EDD—Educational Deficit Disorder—and it might be time to get your child out of that situation! Discuss this post at the Alternative Living & Learning forums here. Original AERO article by Jerry Mintz here. Definitely worth a read. My son came up with a great idea! With my help, we’re going to collected data as we play every board and card game that we own. Over the next 17 days, we will play one game per day and then fill in our data chart with information about our gaming preferences. What we like about the game. What we don’t. What our favorites are. Then we will collect our data and make a pie chart (or two). 1. 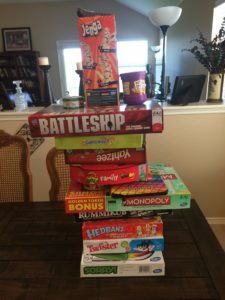 Gather up all of our board and card games. 2. Make a chart where we can collect data about what we like, what we don’t like and how we rate the game. 3. 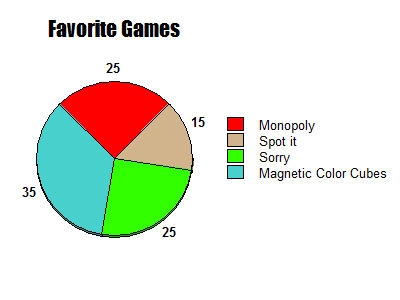 When our game challenge is done, we will enter our data into a free pie chart creator to display our results. The Pie Chart will look something like this at the end of our study. Besides learning how to collect data and formulate that into a study, we will be working through numbers, reading, strategizing and thinking skills as we play. We will be expanding our minds and having fun at the same time. Won’t you join us in the game challenge? 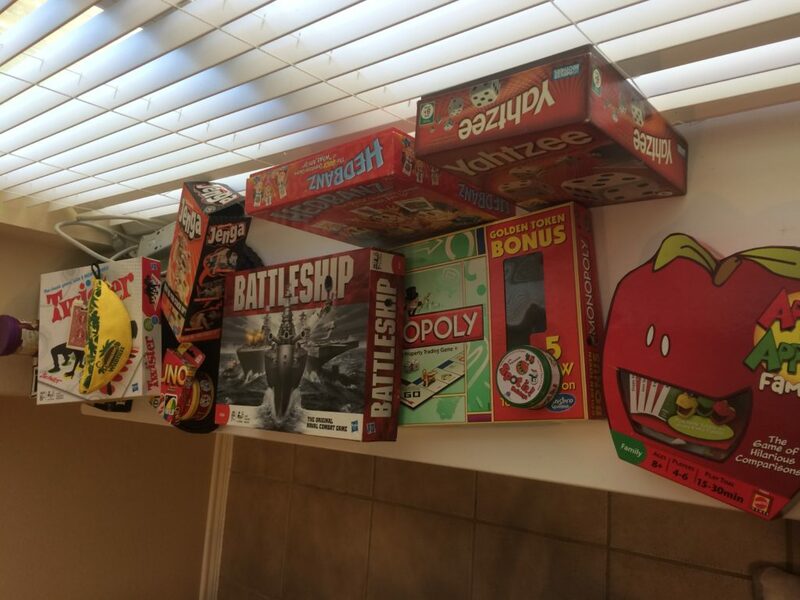 Pull out those dusty games and have fun. Record your results and then jump over to the discussion forums to share your data.